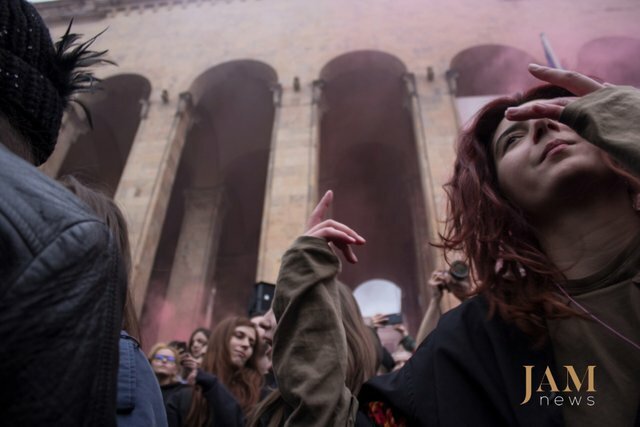 Several thousand young people got together near the parliament building in Tbilisi on the 12th of May. They demanded resignation of PM Kvirikashvili and the minister of internal affairs. 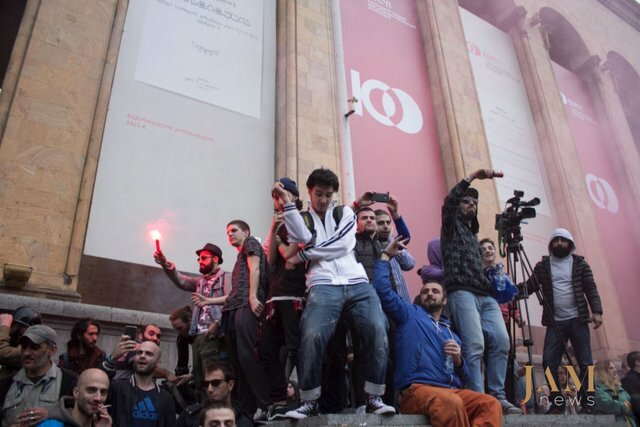 Protesters gathered in reaction to a drug raid conducted by police on several nightclubs of Tbilisi the night before. According to a statement from the Ministry of Internal Affairs, the purpose of the operation was to arrest drug dealers. Witnesses reported that the police used excessive force and planted drugs in the club. 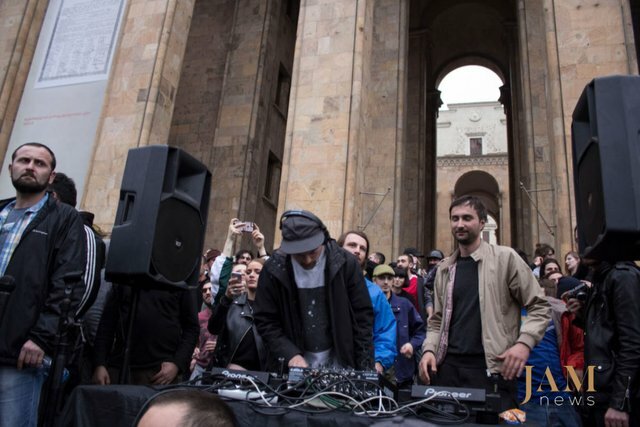 In response to the police raid, members of the White Noise - organisation promoting liberalisation of Georgia’s drug policy, organised a large-scale protest in the centre of Tbilisi. 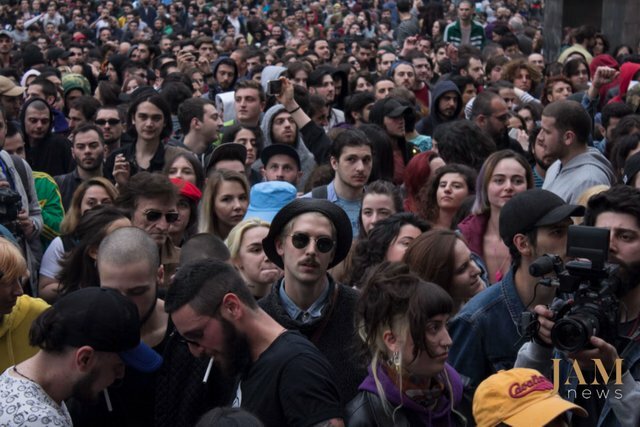 A lot of people in Georgia including many human rights activists see the anti-drug raids as the state’s reaction against activists who demand legalisation and decriminalisation of several kinds of drugs. The protesters brought their own DJ to the parliament which made it look somewhat like a giant rave in th e middle of the city.